Yeah, you don't belong in this century either. So? Oh dear. Kevin had made his home in Kadia – and was being a dragon there. Had the kid lost track of his SELF? That WOULD explain a lot – and he had been loaded down with impossible amounts of darkness as a mere child – but it was going to be really hard to fix! On the other hand… Was he letting his IDENTITIES bear the brunt of the darkness-drives? That might be letting him use powerful instincts, emotions, and roles as channels and buffers for those powers while he was keeping his self… safely buried. Was that why he showed so little in the way of an identity of his own? Blast it! He needed SOMEBODY who could analyze the kid and tell him what was going on in his head! How much freedom did the boy actually have? Was it really any more than his Thralls? And was his “payment”… pretty much the same? Oh well! It was incredibly relaxing to just lay back in microgravity and realize that there was nobody else around for at least a dozen light years! Not counting the animal-phantasms anyway, unless a few of those dolphins were still about! He wandered off to see. The dolphins seemed to have moved on to explore some other seas. There were the usual colossal birds and butterflies, some giant squirrels, and so on – plus some sharklike water predators. Oh yeah. THOSE guys again! They weren’t at all interesting to talk to. They just wanted to eat you – unless, perhaps, they were a different variety. It didn’t seem likely to be worth checking. Marty wandered off to chat with the squirrels. That got him quite a recital. A few other people had come through (what? Oh, there probably weren’t THAT many gates here), the large birds and other animals had been up to a wide variety of things (there seemed to be a whole fuzzy community thing going, since most of the local wildlife was large enough to have big brains by default), and he learned a lot of new and (not all that) interesting things about nuts. Trying to get some more on the people proved difficult. Squirrel-perceptions left out a lot of the items HE would have considered important. Nevertheless, it sounded like a week or two back. It sounded like… a trade-group gathering botanicals? This WAS a GREAT place for that; where else could you extract essential oils from flowers by the barrelfull with a tap? The squirrel remembered because they’d had a gatekeeper with telepathy along. Mostly… primitives in armor though? It took some time (and pursuit) to get the squirrel to focus long enough to pick a halfway decent visual out of it’s mind. A… Roman Centurion, a dozen Legionaries, and a young gatekeeper? Pretty classically dressed? Now THAT was kind of odd. A Rome alternate? The gatekeeper seemed to be of the same racial type as the rest. 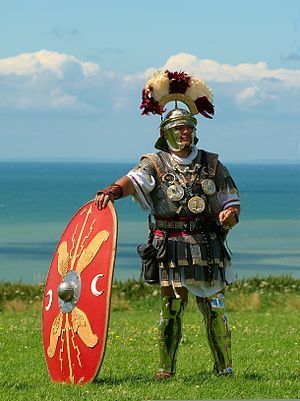 From the squirrel’s memories of a minor predator attack though… those legionaries were as fast as snakes, and EXTREMELY skilled. He reported that to the Thralls back in Kadia to see what they’d come up with. Even if nothing came up, at least it would be on record for later. The first Thrall didn’t know – but if the kid was a gatekeeper, he must have had a soul. Ergo… a roman world with a lot of souls could be a later holoshow or game setting or it could be full of actual romans – in which case a lot of those people were OLD. Marty guessed at a later holoshow. Surely Rome hadn’t lasted long enough in Core to pull off anything like THAT. The Thralls (of course) said that they would continue to look into it, although a squirrels memories weren’t that much to go on. Marty settled in to enjoy things. The squirrel-community was actually quite a lot of fun – more than a bit hyperactive, cheerful, and even a few interesting shiny bits. Hm. He might have to hunt up some solid asteroid-ground. Camping in the trees was fun, but sometimes a bit of stone was handy! He shifted his focus to Battling Business World – currently with an almost sane Lord Zero and a lack of champions of accounting! Appearing in Lower Manhattan, Marty was rather shocked to NOT see accountants rampaging. In fact, most of the numerologists were busy juggling the math to make up for lost time in the aftermath of Lord Zero’s rampaging. That sort of thing took up a lot of time! Marty flipped to the page on that! Would it be business teams, sentai teams, or business sentai teams? Hopefully business sentai! Those guys were fun! It was… Magical Girl Defense Teams? Well, they did almost always win against evil magical beings! Plus they were easy on the eyes! Hm. It might be fun to spring a bunch on Kevin and see what happened…. Oh, never mind, he knew what would happen, and the boy had enough kids now! The bystanders were looking at him funny… Well, he was flying around on a cloud of money, with Oprah-style giveaways for all! But wait… New York had NEVER been willing to even consider hiring outsiders before, no matter WHAT was going on! What had changed? Oh… He had. He was the ONLY ensouled resident of Battling Business World at the moment – and that meant that the realm was starting to split between his version – where progress of a sort was being made – and the classic version. Well, at least it was without directly preaching! That was the best kind of divine influence! Marty stopped to talk. He wouldn’t come down yet – even phantasmal Battlers could be quite deadly – but he stopped leaking money. Hm… With Lord Zero temporarily semi-sane, Battling Business World was starting to unify to some extent under the influence of “1”. Wow, taking all the souls out of the world really DID screw things up, didn’t it? And the one unifying it was representative of identity. An awful lot of people were being very stubborn right now, but – for once – were also willing to cooperate if the price was right. Geez, that really might provoke genuine talk of the Apocralypse! And perhaps a spread of opportunism tempered somewhat by that tendency towards actually being organized. Well, he might as well go with the split and advance the plot, then! The accountants were likely rather confused about their patron’s sudden shift, and willing to listen – even if they wouldn’t be too happy about him spreading money around like that! They might even be convertible to his numerology if he played his cards right! Huh. He probably SHOULD feel odd about being in charge this way at the moment! A bit of revolution might well be in the cards!